Enormous, officially licensed Pokémon cushions aren’t cheap. According to Inside, Premium Bandai is rolling out a huge Snorlax cushion. 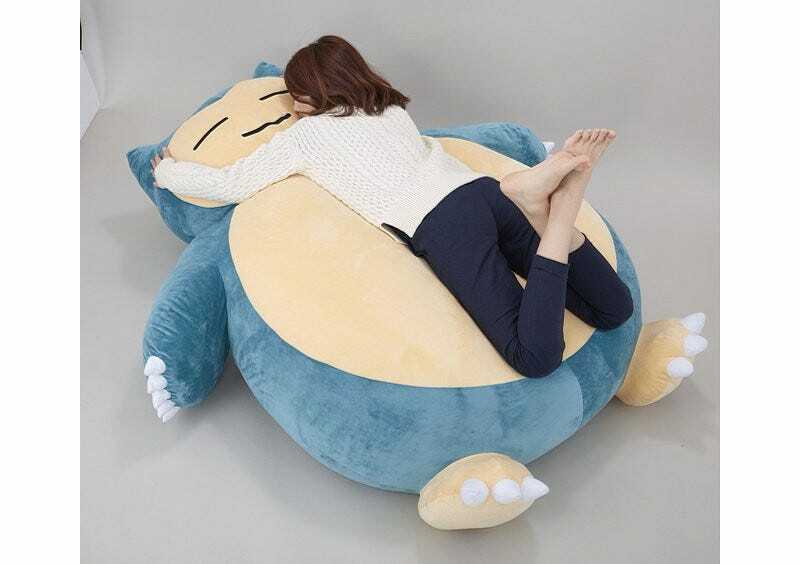 You might remember that Kotaku previously introduced a Snorlax pillow (which was official) and a Snorlax bed (which was not). This cushion if an officially licensed product. It’s also huge. How huge? It’s bigger than a small child. Here are the exact dimensions. Pre-orders start on Friday in Japan for 52,000 yen (US$461.36).